Girls Compete With Each Other, Women Empower One Another. I hope you will read this with an open mind and a gentle receiving heart, the same as it is from the one posting it. May it enlighten you to more about life, other women, and yourself. May it encourage you to make changes that will make you feel better about yourself and may it inspire you to be that mentor to younger women struggling to make their way in this troubled world. There comes a time in every woman’s life when she has to take a close look at herself. Not at her circumstance, not at what she did, not how unfair life is or not at who made you do it. She has to just look at herself in all her glory and imperfection. For many women, this is a scary thing because often times they don’t want to know the truth about themselves. Virtuous women know what I mean. As women, we have a tendency to water one another down. Maybe it makes us feel good or look better than the next woman. Or maybe we just don’t know how to tell that woman how we admire her. In reality, we really WANT to look at ourselves and the pain we project towards other women. Have you ever admired a woman who has been through changes in her life? Or have you made up in your mind that she is just messed up. Before you make this mistake, take a close look. 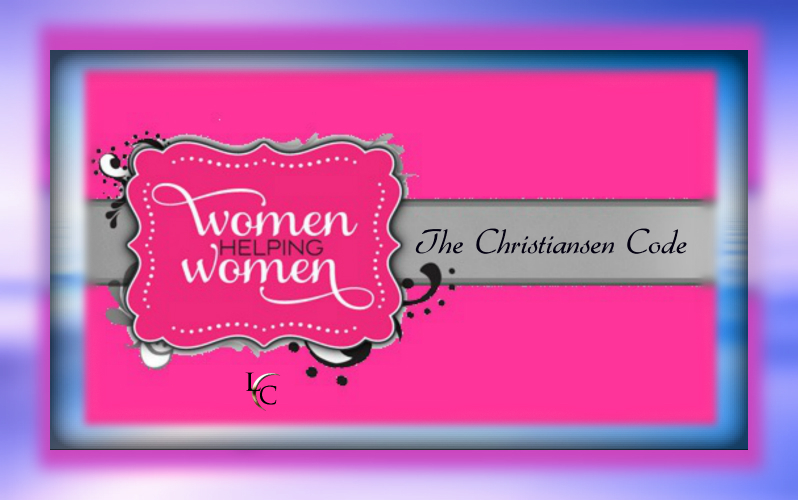 The women who have endured the most abuse, mistreatment and/or pain in life are the chosen by God filled of wisdom. Someone who has been chosen by God to go through so that others may be enlightened is a role model for the afflicted. Think of all the great women in the bible, Mary Magdalene, Ruth and Naomi, The woman with an issue of blood, and Esther, to name a few. Mary was a very uneasy woman. By the time God was done with her, she was His closest follower. Esther was unfortunate in marrying an abusive man. By the time God was done with her, she married one of the wealthiest men in the land. Have you ever admired the strength of a single mother? Or have you made up your mind that it’s too bad she had children on her own. A single mother knows no bounds when it comes to her children. She is strong and durable. Single mothers are strong, not because she has to be, but because it comes naturally for her to protect the extensions of her very being. Her love for her children is like that of fuel to a car. Most mothers keep their tanks full because they understand that, if it runs low, you could jeopardize the car and have problems in the long run. Other women only fill it when it is needed. Their cars usually break down. Have you ever wondered why some women are not approachable? Or have you made up your mind that she is just mean. A quiet woman is a smart woman. She is valuable. She doesn’t go off half-cocked and she won’t be the one to argue with you over nothing. She just may even let you go on “setting her straight” and politely back out without a fight. She doesn’t let many in her world. After all, she has probably been through the fire and had to rebuild. So why let just anyone in? This is usually the woman that only has “small talk” and knows her place, which is away from all the unnecessary things in life. Have you ever wondered why that woman is so loud? Well, hey she has a lot to say. These are usually our younger women who have to learn refrain. They are eager and unsettled. They talk before they think, and they do not think before they talk. They just go. Have you ever wondered about that woman who appears to have everything, yet is still very unhappy? Well, she doesn’t have everything. She doesn’t have personal validation. This is something that cannot be bought. This is something developed over many mistakes and challenges that have taught lessons of the unbearable. Women are so quick to beat the next one down instead of trying to hold her up. Before you wonder, “What’s up with her?” ask yourself, “What’s up with me?” Why do I beat down another woman to build myself up? That woman could be my mother, sister, aunt, in-law, stepmother, niece, grandmother, great-grandmother, neighbor, friend, co-worker, etc. That woman could just be me. Women are the carrier of life, not the channel of death. Let’s build and encourage each other, as did Ruth and Naomi. Encourage and Love, Forgive and Forget, trust that the woman that receives this will be touched in some way. ~You reign over the unspoken word, once you speak and release it, the unspoken word reigns over you so choose wisely. My passion for life has always been fueled through serving the needs of others by helping others achieve their dreams. I have found that by helping others I receive paychecks of the heart that money cannot replace, the joy I see on a mothers face when she no longer struggles to feed her family is truly priceless. The relief I see in a woman’s eyes who no longer has that tired look of not knowing how her day was going to end because her future was in the hands of her abuser is what I thrive on because I too was once her. The excitement I hear in a woman’s voice because she has a successful business earning a six-figure income when she remembers a time when she did not know how she was going to pay the rent is simply a blessing. The respect I see in husbands’ eyes for his wife who has grown from a timid girl into a strong, independent, and successful woman is a sight to behold. I have been all of these women. I want this for all of you! As you come to know me better my hope is that you will feel the pride that I have lived with in my Cherokee heritage. I am active in the Cherokee nation, the Chamber of Commerce, and the Rotary. I specialize in teaching others to become Independent, not co-dependent. I wish to think that my specialty is not as a teacher but as an example. I choose to live by following the example of Christ rather than lead by ignorance. If you set the example you do not have to set the rule.